A satisfactory psychological explanation for man’s inhumanity to man – the genocides, the serial murders – may always be beyond reach. But surely at the heart of any attempt at explanation will be the idea that the purveyors of these atrocities come to see their victims as somehow less than human. Indeed, perhaps we are all capable of seeing those who we are most prejudiced against as not quite as human as ourselves. Support for this notion comes from a new study by Lasana Harris and Susan Fiske who scanned the brains of ten Princeton university students while they viewed pictures of people from different social groups. As predicted, pictures of sporting heroes, the elderly and businessmen all triggered activity in a region of the brain – the medial prefrontal cortex – known to be associated with thinking about other people or oneself. 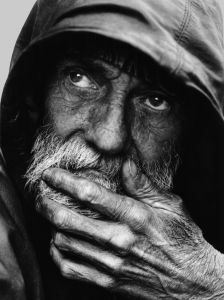 By contrast, pictures of the homeless or of drug addicts failed to trigger activity in this area, and instead prompted activity in the areas of the brain related to disgust. “Members of some social groups seem to be dehumanised, at least as indicated by the absence of the typical neural signature for social cognition”, the researchers said. A second study with 12 students confirmed that, like pictures of the homeless or of drug addicts, images of objects also failed to trigger activity in the medial prefrontal cortex – except for the sight of money, which participants said caused them to think about wealthy people. “If replicated and extended, this kind of evidence could begin to help explain the all-too-human ability to commit atrocities such as hate crimes, prisoner abuse, and genocide against people who are dehumanised”, the researchers said.